The particular idea of a dipping sonar with drones was soon supplemented by a broader view of drone helicopter capabilities and potentials. Early contract work was directed mainly at the technical feasibility of creating such a flying vehicle. Fairly early on, it became obvious that the HTK static test frame would make an excellent test bed for such experimental work. A further advantage was the various flight components, including landing gear confiscated from the HTK program itself, which could be added on at a very low cost. This aircraft was modified with electronics cut into the control systems. In August 1952 Kaman launched the first of many drone programs, using a helicopter painted with yellow primer and dubbed the “Yellow Peril”. This static test airframe was then registered as BuNo. 138602 and the first flight of “Yellow Peril” took place in May 1953, still with an open frame construction and the tail part of a Kaman Model K-225. In February 1955 it had flown more than 100 hrs. 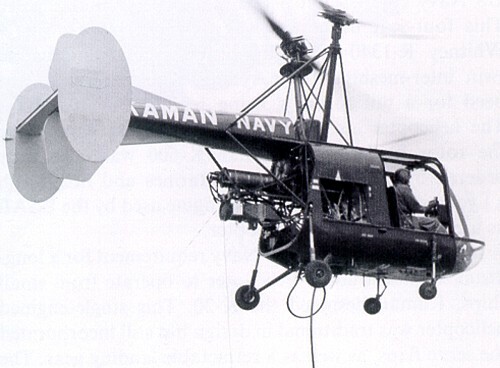 The project was initiated when the U.S. Navy placed a contract with Kaman (Aug 1952) for the development of a remotely controlled helicopter using a combination of the automatic stabilization equipment then being developed by the Navy Bureau of Aeronautics and a guidance system originating in the Office of Naval Research (ONR). 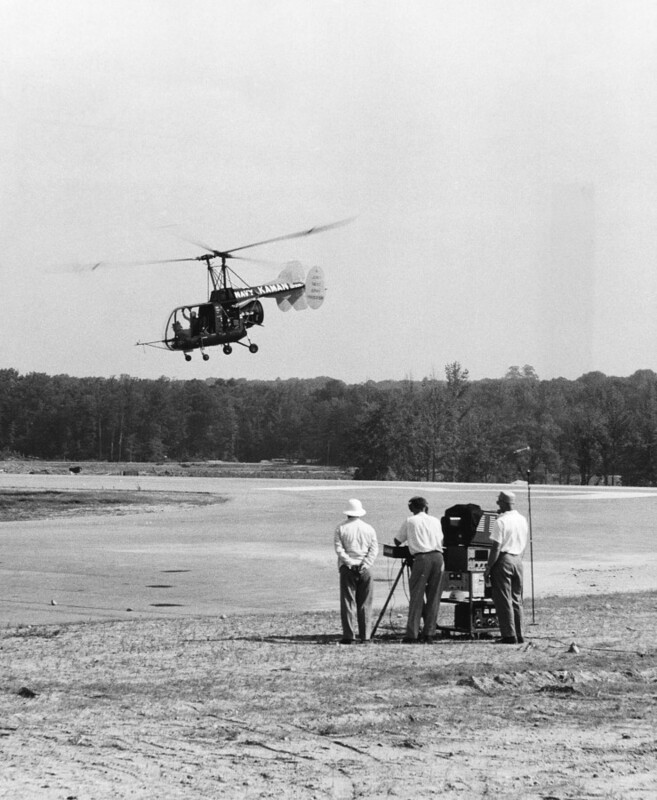 A radio-control system and electro-mechanical controls were developed, based on those of conventional target drones, but adapted for the helicopter's peculiar flight conditions. In September 1953 the “Yellow Peril” was demonstrated to the U.S. Navy. 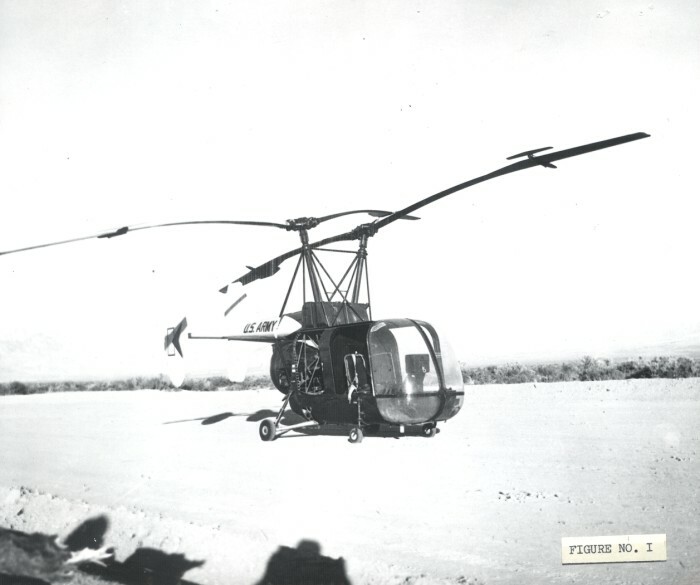 At that time the machine was flown with a helicopter pilot at the ground control point, but subsequent work produced a control system by which, in April 1956, a Kaman employee who had never before flown in any kind of aircraft made the robot helicopter take off, manoeuvre and land successfully. Since then all robot flights have been made by men who are not pilots, although a check pilot is required to sit at the helicopter's normal controls for safety reasons. 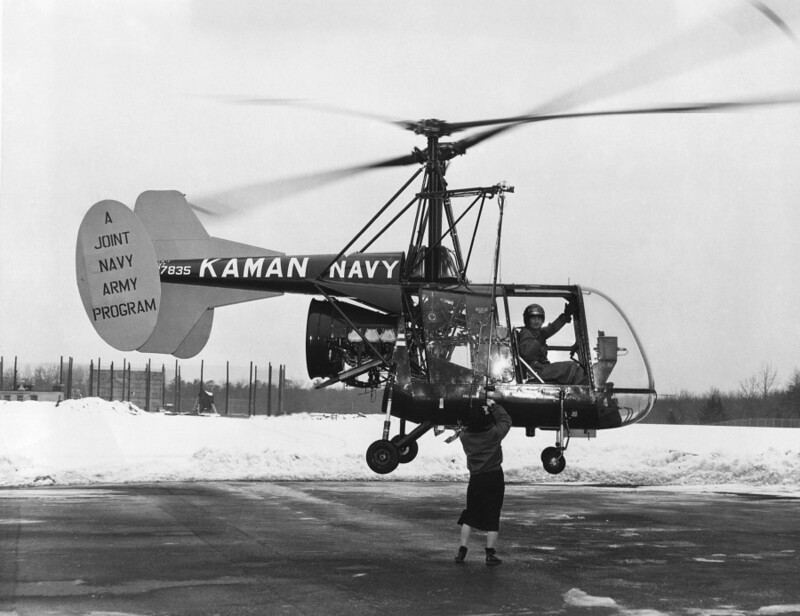 In June 1955, the U.S. Navy and Army placed a joint contract for three remotely-controlled Kaman helicopters for evaluation. At the same time Radio Corporation of America became interested in the possibilities of mounting in the machine the back-pack television camera and transmitter which they had developed for the U.S. Army Signal Corps. The potentialities of this line of development are manifold and significant. The helicopter can be guided from a control station on the ground or in another aircraft, or by what is described as a "memory" system, presumably a programmed control. These three systems can also be used in combination, control being handed over from one to another as required. Special applications which have already been tested include simulated battlefield surveillance, using the television camera and transmitter; the laying of telephone cable; and the transporting and automatic unloading of cargo in inaccessible areas. Still and cine cameras can also be installed to make permanent records of battle situations. These tactical applications are obviously extremely attractive, but still further developments are possible. The robot helicopter could be used in conjunction with television to seek out target areas and drop smoke-bombs as visual markers for artillery fire. The machines could be made to lay smoke-screens to obscure troop movements, or lay and detonate lines of explosives through mine fields, thus clearing a path for troops and vehicles; and yet another adaptation, the company claims, might be the use of robot helicopters for hunting and destroying enemy tanks and vehicles. Initially the drone was flown with a standby pilot aboard for several hundred hours, but in July 1957 it was flown as a pure drone. 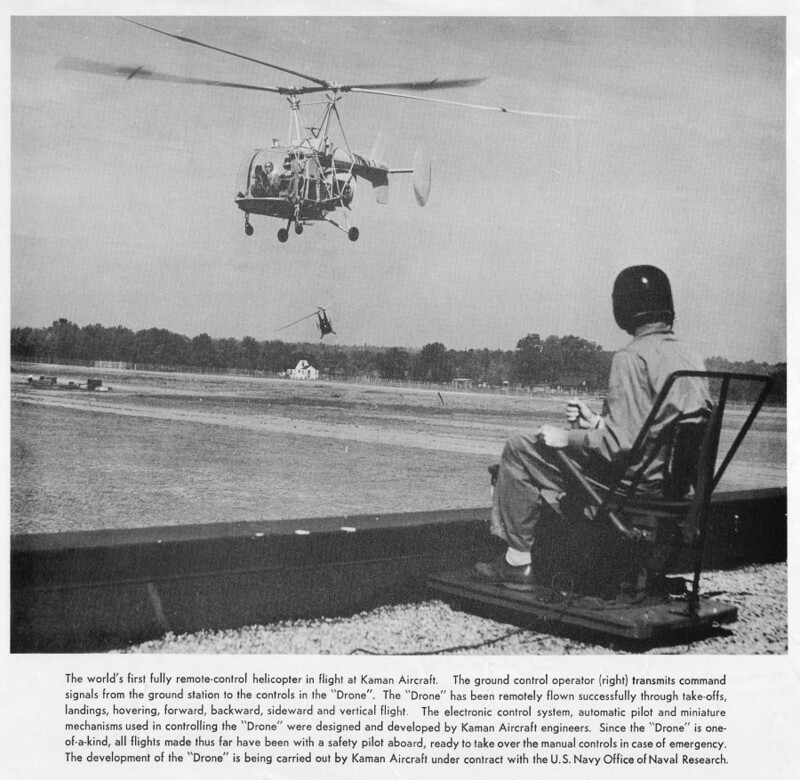 The HTK-1K thus became the world’s first pilotless flying helicopter, being directed by radio signals from a small, lightweight transportable ground station. Although the equipment is installed in the helicopter and engineered to the best of our abilities there are certain adjustments to the equipment that can only be made by flight test experimentation. The technique for obtaining these adjustments will consist of several flights in sequence where flights of different settings are made by ground personnel between each hop. 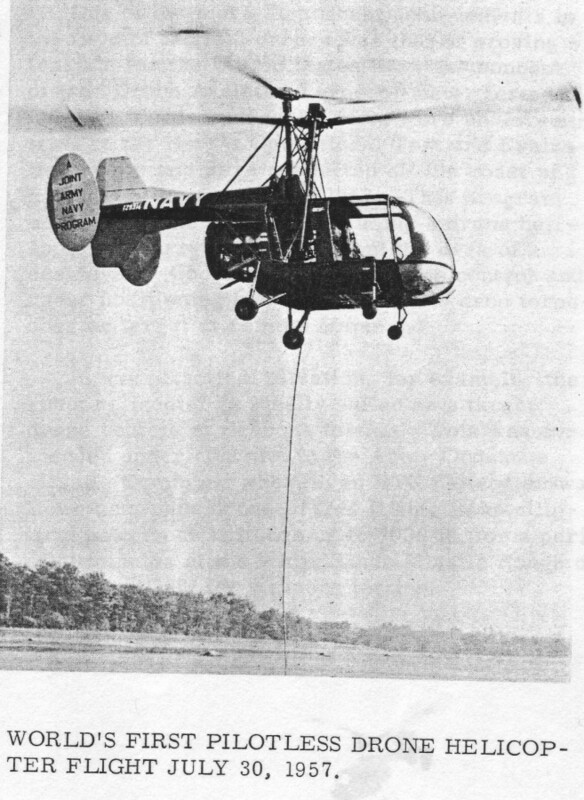 On Fryday evening, May 11, 1956, the Kaman Aircraft Corporation achieved a record in aviation history by precisely hovering a helicopter at 1000 feet altitude for long periods of time. Under the Corps of Engineers Contract, Kaman Aircraft has installed photocell circuitry in conjuction with the automatic stabilization equipment in HTK 137835 so that the helicopter may be flown into the light beam at prescribed altitudes and automatically remain in the beam without any control from the safety pilot. For design and development purposes in this early stage, most of the work has been concentrated on altitudes of 1000 feet. At 1000 feet altitude a pilot manually flying a helicopter has difficulty holding the helicopter within 300 feet of a fixed point over the ground. Robot helicopter developed by The Kaman Aircraft Corp., Bloomfield, Conn., during its demonstration to U.S. Department of Defense officials at Fort Belvoir, Virginia. Center man on the ground is flying the robot. Since demonstrator robot is one-of-a-kind, safety pilot accompanies robot but does not fly it. Kaman Aircraft built three robot’s for evaluation by Navy-Army. These will be flown without a pilot aboard. Ground controller is not a pilot, ease of controlling robot makes it capable of being flown by anyone. Equipment shown includes, in addition to ground control station, TV receiver which receives TV broadcast from small transmitter and camera in robot, and public address system amplifier used by commentator (right). Robot simulate battlefield surveillance with TV, broadcast, lays communication wire and takes aerial photos at command of controller, flies memory courses fed into ground control system, flies on commands from airborne control station located in another helicopter. The DASH “Drone Assisted Torpedo” tests were conducted off the coast of Key West, Florida in July 1957 from the deck of a destroyer USS Mitscher. 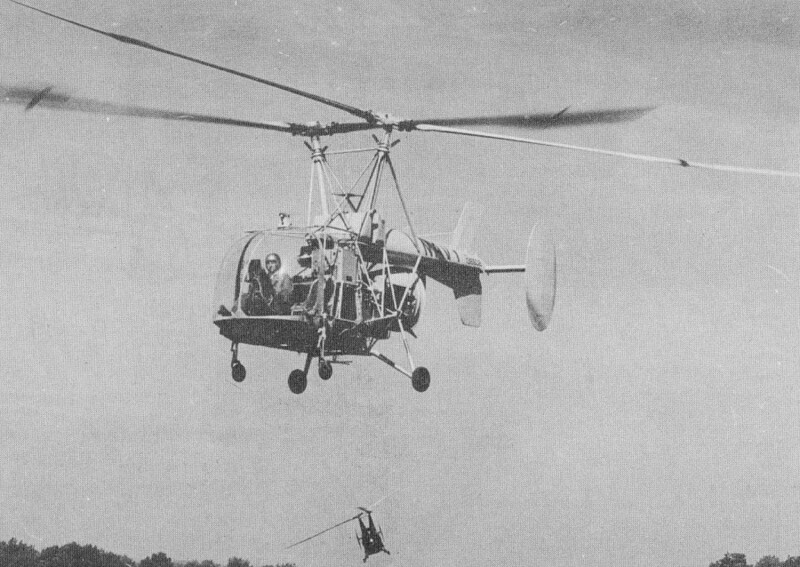 In August 1958 HTK 137835 became test-bed for worlds-first electrically powered helicopter. During the past year, 129314 has had some interesting moments, dropping homing torpedos on submarines and planting practice depth charges so close to one sub that the Commanding Officer cried "uncle" on the underwater telephone. This helicopter has landed on the Hazelwood in a sea state of "5", a 35-knot wind, and with the deck rolling 25° port and starboard. The HTK-1 has made 446 shipboard landings, of which 57 were droned. It came trough the latest series of test with 100 per cent availability (six weeks of flying). This included a trip to Key West, FL and back. 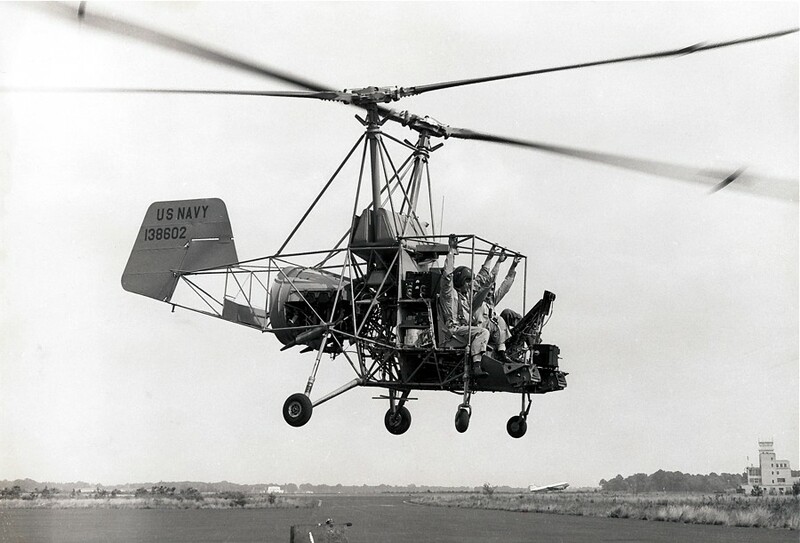 This HTK-1, 129314, used in remote-control test flights, was used as a piloted helicopter, in a rescue flight on 16 June 1960 from the USS Hazelwood, 10 miles at sea off Newport, RI. An injured seaman had to be transported to a hospital. The flight was made through the heavy fog bank laying between the ship and the shore line. Since the HTK only had rudimentary instruments (being used as a drone), reliance had to be placed on the Automatic Stabilization Equipment integral with the drone gear. After take off control was turned over to Lt. Jim Julian, operations officer on the Hazelwood and controler in drone test program. The HTK was flown through the fog by remote controle. The pilot kept in contact with the ship by radio communication. 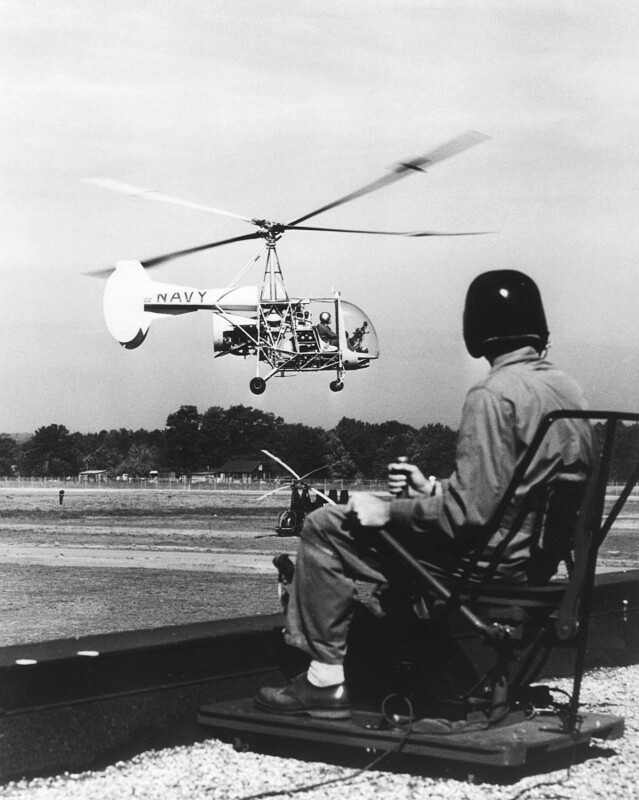 The helicopter has been the Navy's primary vehicle for testing the DASH concept, with the majority of the tests being conducted aboard the Hazelwood.